Vetafarm Soft Food/Crumbles There are 4 products. New! Great for singing canaries and other small birds! Superior Egg & Biscuit is a completely balanced diet suitable for all birds including Budgerigars, Canaries and Parrots. Designed to be completely user friendly, our new formula can be fed as a complete food or as a supplement and at any time of the year, WET or DRY. Vetafarm Finch & Budgie Crumbles is an extruded crumble diet that can be used as a complete diet and is ideal for breeding birds who have higher nutritional requirements. New! 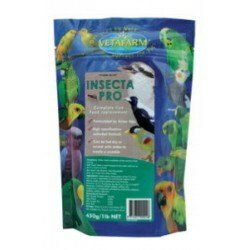 Vetafarm Insecta Pro takes the mess and guesswork out of feeding insect eating birds. 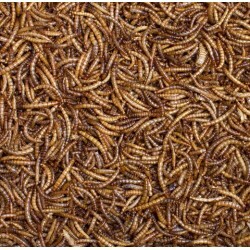 Supplies crucial proteins found in insects, that grains and vegetables lack. 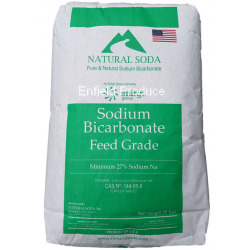 Stimulates breeding pairs of Insectivores/Omnivorous and balances the diet of young. 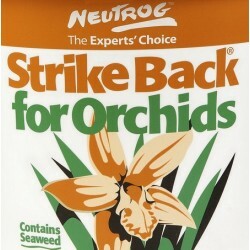 Used and recommended by Taronga Zoo. 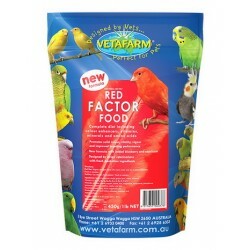 Vetafarm Red Factor Canary Food. 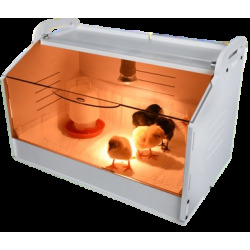 An extruded crumble diet formulated to promote health, vigour, breeding and solid colour in red canaries. Contains colour enhancers such as canthaxanthin and capsicum.